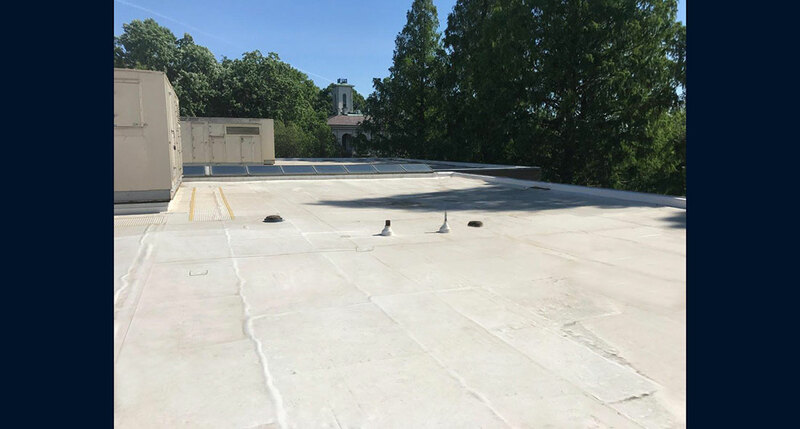 A variety of challenges had to be overcome to successfully complete the replacement of the roof on the Lehmann Building. The Lehmann Building is a National Historic Landmark and the nation’s oldest botanical garden in continuous operation. 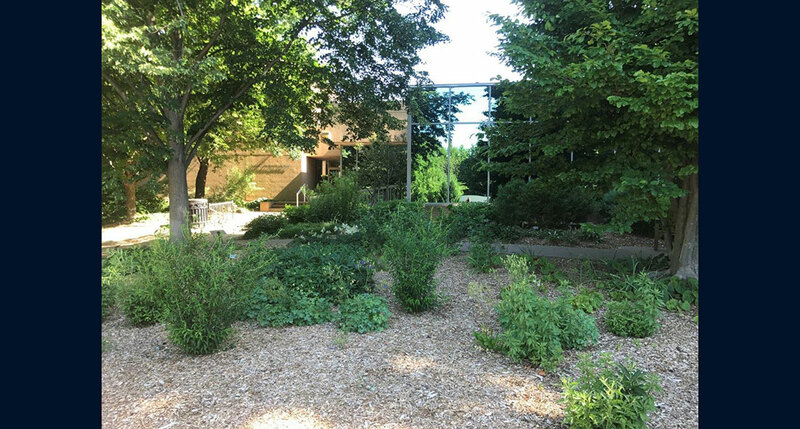 It is situated in the middle of the Missouri Botanical Gardens and houses executive staff and historical herbarium samples, some of which are centuries old and extinct. Consequently, there was no room for error in the execution of this project. 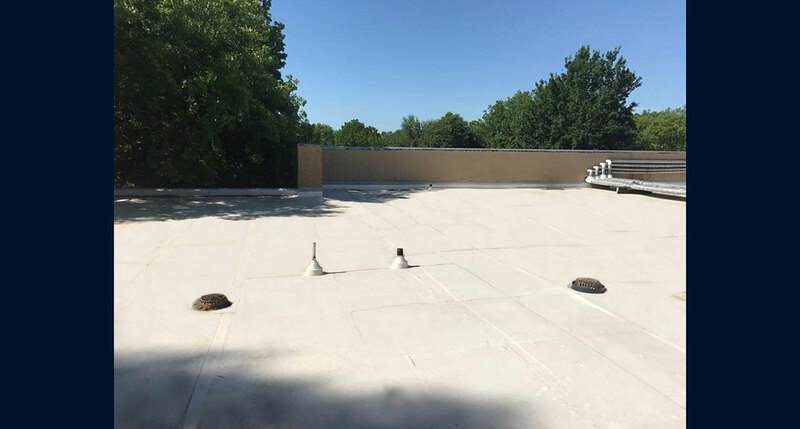 The scope of work specified the removal of the two existing asphalt roofs and installation of a new, fully adhered 80 mil TPO membrane roofing system. 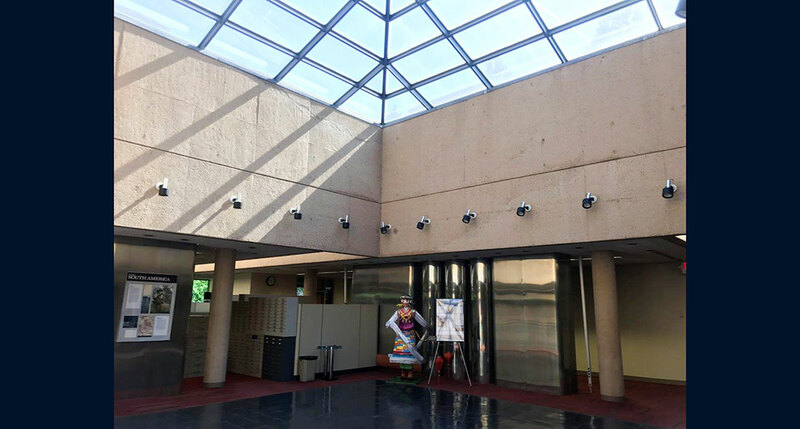 To further protect the highly sensitive building contents of the Lehmann Building, new internal overflow drains and piping were installed. Coordination of this work with the plumbing and ceiling contractor was paramount in keeping the building occupants content. The project also utilized an architectural sheet metal company to match the existing custom metal edging profile. The first challenge Western crews faced on the project was maintaining the tight schedule. Phase one of the project had to be completed before the decorative lighting for the annual “Garden Glow” could be installed in certain areas. 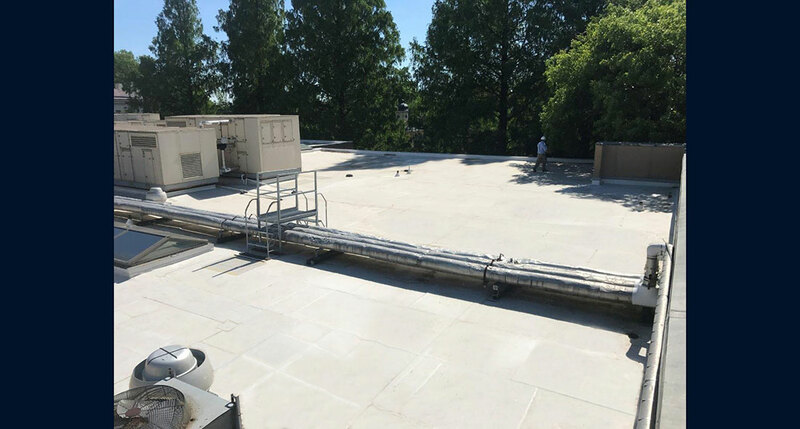 In order to shorten the critical path of the schedule, Western had to fast track the submittal process and start immediate procurement of the materials. 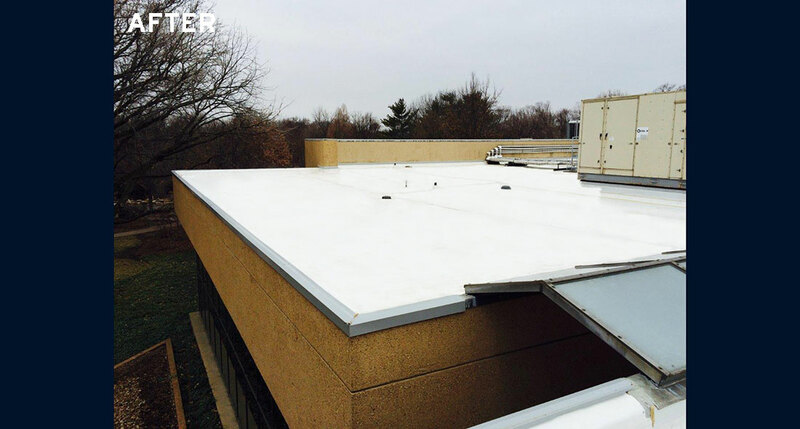 After the material was in place it was a matter of providing sufficient labor and overtime until the deadline was met. Access was another major concern. A 15-ton truck crane and half of the roofing material had to be hauled 700 feet through a walking trail. Significant precautions needed to be taken to protect the plant life in the garden from damage by the equipment and compaction of the soil. 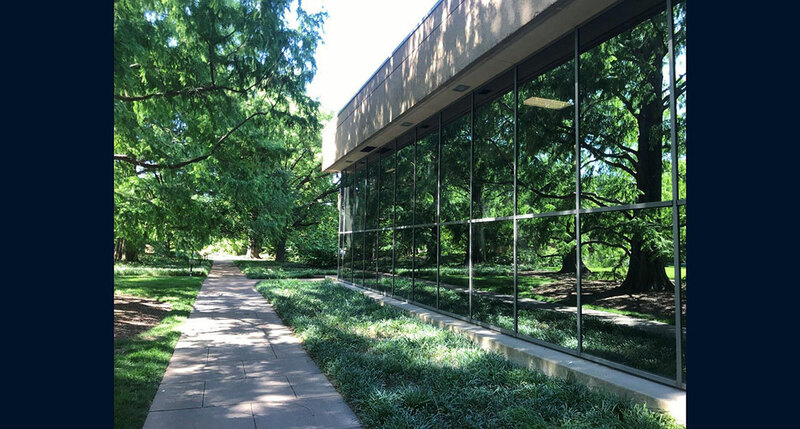 Western worked with Missouri Botanical Gardens to evaluate which trees needed to be trimmed to make room for the material. 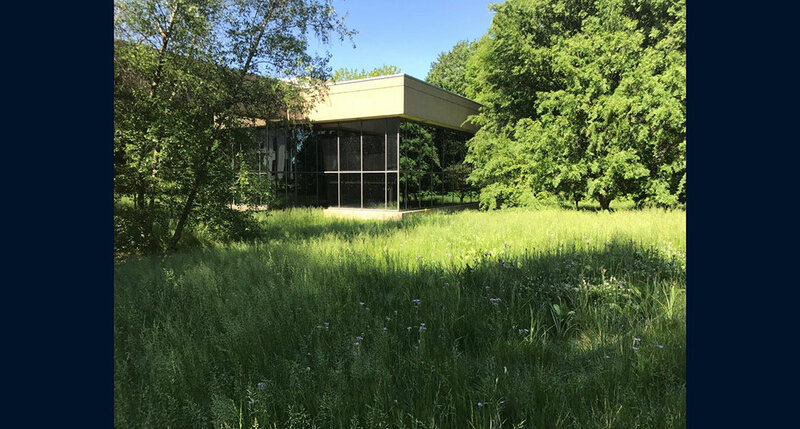 The crane and each forklift load of material had to be carefully escorted to make sure our material handling equipment stayed on the walking path and did not bump into overhead branches. This was a very challenging project for everyone on the Western team. 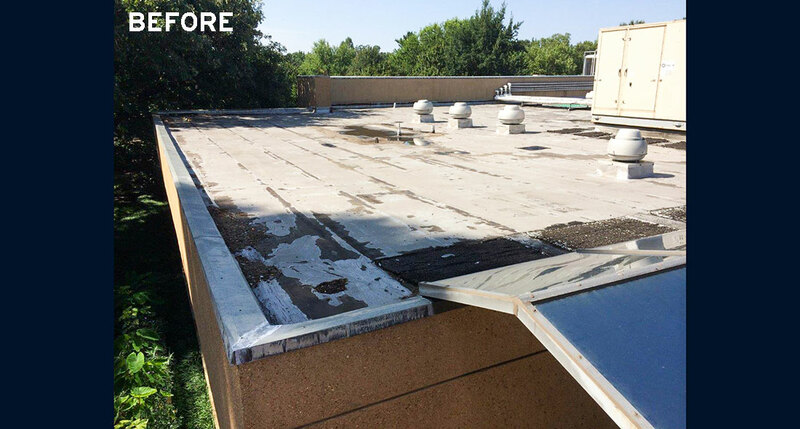 The elevated level of skill in workmanship and communication exercised by our field crews made this project a success in all aspects. The project was completed on time and within budget with zero change orders due to the accuracy of the specifications and drawings. At the end of the day, it is very rewarding to have taken part in helping preserve plants and science for the future generations to enjoy.